Charles “Joe” Hynes was remembered as “a great mentor,” “a great public official,” and “a man of the Church” at a memorial Mass celebrated at St. Thomas More Church in Breezy Point, Feb. 2. 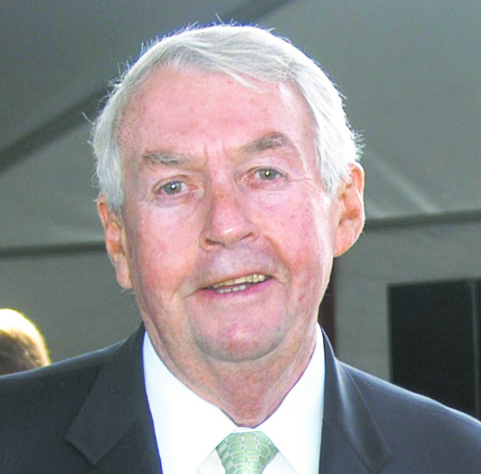 Hynes, the former Kings County District Attorney died on Saturday, Jan. 29 in Florida. At his request, his body was donated to medical research. A native of Brooklyn, Hynes grew up in Brooklyn and attended St. Ann’s Academy, Manhattan; St. John’s University, Jamaica; and St. John’s Law School. After a stint with the U.S. Marines, he worked with the Legal Aid Society and then was an assistant district attorney in Kings County. He was elected district attorney in Brooklyn in 1989 and served until 2013. He also served as the 24th NYC Fire Dept. Commissioner, 1980-82. He was designated as a special prosecutor for nursing home investigations in 1975 and also for the racial incident in Howard Beach in 1986. Before moving to Breezy Point, he was a longtime member of Holy Innocents parish, Flatbush. Bishop Nicholas DiMarzio was the main celebrant of the Memorial Mass. Concelebrants included Msgrs. Michael Curran, Kieran Harrington, Jack Casey, John Delendick and Fathers Michael Perry, Peter Rayder and Patrick Keating. Bishop DiMarzio said that the parish church was a place where Hynes was no stranger. “He was man of the community. He gave his life willingly in service to many people,” said the bishop. He pointed out that Hynes was a daily communicant and had a special devotion to St. Peter Julian Aymard, a little known 19th-century French Catholic priest and founder of two religious institutes: the Congregation of the Blessed Sacrament for men and the Servants of the Blessed Sacrament for women. He once travelled to Rome to speak to the congregation’s superior to better publicize the saint. Msgr. Curran also said that Hynes was “a great mentor,” explaining that “in the DA’s office, he gave so many young people the opportunity they needed when they were starting out. “He sought to do the right thing in pursuit of justice and of rehabilitation, always seeking to make everyone better. “He was loyal and faithful to his God first and to all who crossed his path. He didn’t leave his faith inside the church. His faith was the guiding light of his life,” the monsignor said. 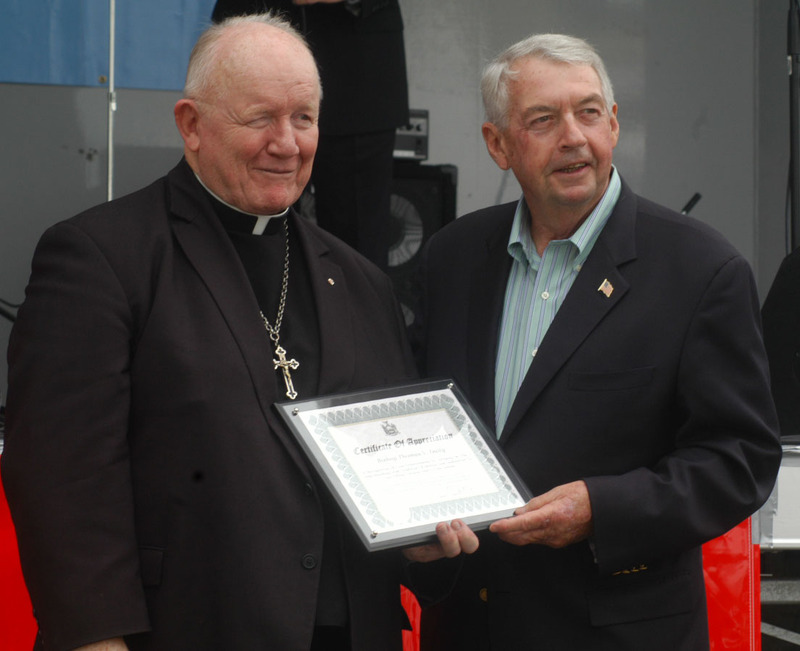 Former DA Hynes with Bishop Thomas Daily at the 2007 Great Irish Fair. He described his father as a “visionary” who cared more about rehabilitation than incarceration of those he convicted. Amoroso said that Hynes kept symbols of various religions in his office so that anyone who came to him knew that he or she was getting a fair hearing. Amoroso also recalled that Hynes always made the sign of the cross when he passed a church. Immediate survivors include his wife Joan, and sons, Kevin, Sean and Patrick and daughters, Jeanne Cook and Lisa Kellachan, and 17 grandchildren.